This report presents an overview and analysis of the status and trends of air quality in Europe based on concentration measurements in ambient air and data on anthropogenic emissions and trends from 2001 — when mandatory monitoring of ambient air concentrations of selected pollutants first produced reliable air quality information — to 2010. Member States provide an annual assessment of air quality in comparison to EU air quality thresholds. Anthropogenic emissions of air pollutants in China influence not only local and regional environments but also the global atmospheric environment; therefore, it is important to understand how China's air pollutant emissions will change and how they will affect regional air quality in the future. Emission scenarios in 2020 were projected using forecasts of energy consumption and emission control strategies based on emissions in 2005, and on recent development plans for key industries in China. We developed four emission scenarios: REF (current control legislations and implementation status), PC (improvement of energy efficiencies and current environmental legislation), PC (improvement of energy efficiencies and better implementation of environmental legislation), and PC (improvement of energy efficiencies and strict environmental legislation). Under the REF scenario, the emission of SO2, NOx, VOC and NH3 will increase by 17%, 50%, 49% and 18% in 2020, while PM10 emissions will be reduced by 10% over East China, compared to that in 2005. In PC, sustainable energy polices will reduce SO2, NOx and PM10 emissions by 4.1 Tg, 2.6 Tg and 1.8 Tg, respectively; better implementation of current control policies will reduce SO2, NOx and PM10 emission by 2.9 Tg, 1.8 Tg, and 1.4 Tg, respectively; strict emission standards will reduce SO2, NOx and PM10 emissions by 3.2 Tg, 3.9 Tg, and 1.7 Tg, respectively. Under the PC scenario, SO2 and PM10 emissions will decrease by 18% and 38%, while NOx and VOC emissions will increase by 3% and 8%, compared to that in 2005. Future air quality in China was simulated using the Community Multi-scale Air Quality Model (CMAQ). Under REF emissions, compared to 2005, the surface concentrations of SO2, NO2, hourly maximum ozone in summer, PM2.5, total sulfur and nitrogen depositions will increase by 28%, 41%, 8%, 8%, 19% and 25%, respectively, over east China. Under the PC emission scenario, the surface concentrations of SO2, PM2.5, total sulfur depositions will decrease by 18%, 16% and 15%, respectively, and the surface concentrations of NO2, nitrate, hourly maximum ozone in summer, total nitrogen depositions will be kept as 2005 level, over east China. The individual impacts of SO2, NOx, NH3, NMVOC and primary PM emission changes on ozone and PM2.5 concentrations have been analyzed using sensitivity analysis. The results suggest that NOx emission control need to be enhanced during the summertime to obtain both ozone and PM2.5 reduction benefits. NH3 emission controls should also be considered in order to reduce both nitrate concentration and total nitrogen deposition in the future. Regional-scale chemical transport model predictions of urban organic aerosol to date tend to be biased low relative to observations, a limitation with important implications for applying such models to human exposure health studies. We used a nested version of Environment Canada's AURAMS model (42- to- 15- to- 2.5-km nested grid spacing) to predict organic aerosol concentrations for a temporal and spatial domain corresponding to the Border Air Quality and Meteorology Study (BAQS-Met), an air-quality field study that took place in the southern Great Lakes region in the summer of 2007. The use of three different horizontal grid spacings allowed the influence of this parameter to be examined. A domain-wide average for the 2.5-km domain and a matching 15-km subdomain yielded very similar organic aerosol averages (4.8 vs. 4.3 μg m−3, respectively). On regional scales, secondary organic aerosol dominated the organic aerosol composition and was adequately resolved by the 15-km model simulation. However, the shape of the organic aerosol concentration histogram for the Windsor urban station improved for the 2.5-km simulation relative to those from the 42- and 15-km simulations. The model histograms for the Bear Creek and Harrow rural stations were also improved in the high concentration "tail" region. As well the highest-resolution model results captured the midday 4 July organic-aerosol plume at Bear Creek with very good temporal correlation. These results suggest that accurate simulation of urban and large industrial plumes in the Great Lakes region requires the use of a high-resolution model in order to represent urban primary organic aerosol emissions, urban VOC emissions, and the secondary organic aerosol production rates properly. The positive feedback between the secondary organic aerosol production rate and existing organic mass concentration is also represented more accurately with the highest-resolution model. Not being able to capture these finer-scale features may partly explain the consistent negative bias reported in the literature when urban-scale organic aerosol evaluations are made using coarser-scale chemical transport models. 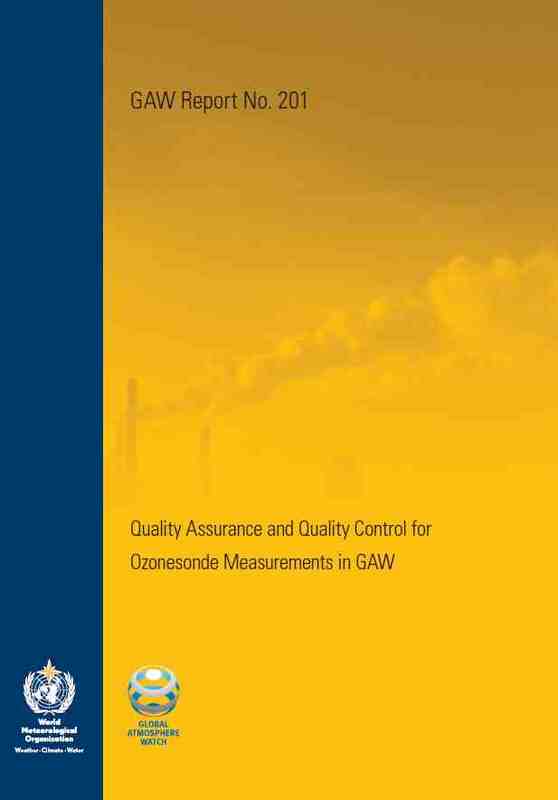 This technical reference guide provides a general overview of the use of models with regard to the consolidated Directive 2008/50/EC on ambient air quality and cleaner air for Europe (the AQ Directive). This report is an output of the Forum for Air Quality Modelling in Europe (Fairmode) established in 2008 as a joint action of the European Environment Agency (EEA) and the European Commission's Joint Research Centre (JRC).